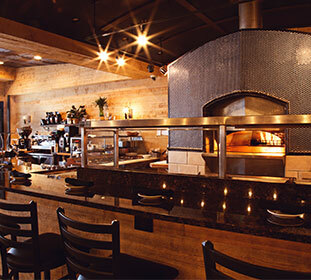 NEAPOLI (formerly Gaetano’s) is a one-of-a-kind Italian Restaurant serving only homemade food in the heart of Red Bank, New Jersey. 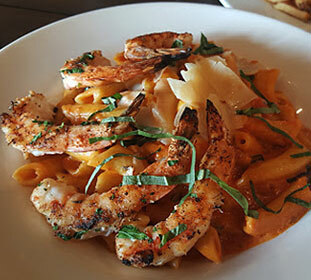 Initially launched in 2007, NEAPOLI is one of the best rated Italian cuisines in New Jersey. We bake our own Breads, Infuse Olive Oils, Roll Fresh Pasta, Bottle Vinaigrette and Pasta Sauces to be able to serve you nothing but high quality, delicious and fresh ingredients. Dine with us or choose to take our secret recipes home. Other services include Hosting, Catering and serving Private Events and large Parties. Neapoli takes pride with Catering. Our Chefs work closely with you to customize a unique menu that’s exactly perfect for the occasion, designed around your personal preferences, style, venue and budget. The start of any meal is important... prepare your appetite, while waiting for your main course. Our diverse and delicious appetizers will help you with that! Neapoli's menu knows no borders. At the core of our main courses, we have the idea of a Neopolitan Italian Cuisine. So whether you'll pick a meat, fish or pasta as a main course, be sure that it will be universally good! That sweet taste of a dessert at the end of the meal... If you look forward to it too, then you're at the right place! Our menu has prolific choice of desserts. It can make even the prolific sweet tooth person happy! The team that works at our kitchen, values diversity. We can offer you a extraordinary dish with nouvelle ingredients! Relaxing, friendly and inviting atmosphere.